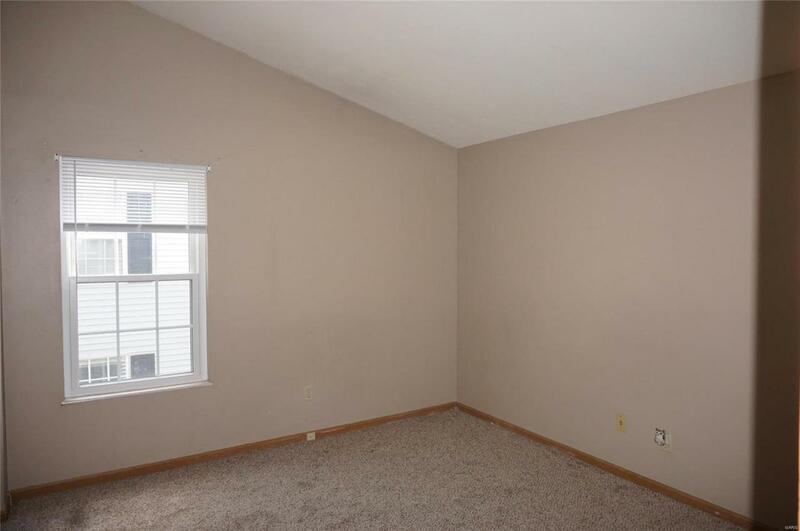 Desirable Chesterfield Location*Location! Move in ready! Upper level condo offers vault ceilings in the living & kitchen areas. New carpeting thruout, newer tilt-in thermal windows, appliances, & water heater. 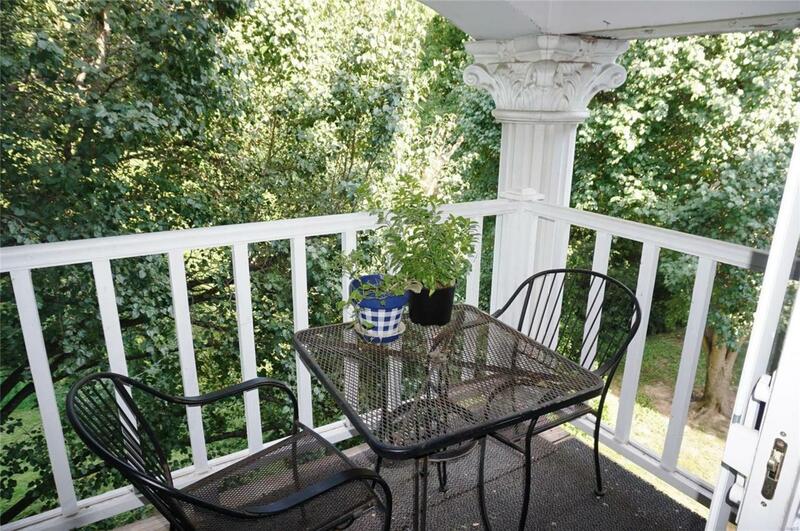 Step to the balcony/deck that backs to trees & has a private, serene water view plus an additional storage closet. Master bedroom with ensuite & triple closet. In unit laundry & Washer/Dryer will stay. 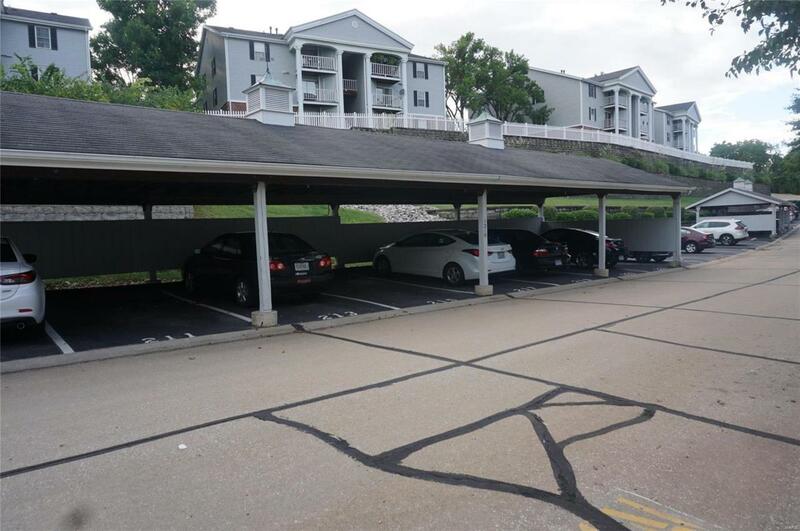 One covered parking spot plus additional guest parking. Monthly fee includes water, sewer, trash, pool privileges & more! Seller is offering a 1yr HSA Home Warranty. Easy access to Hwys 141, 364 (Page Extension), 40 & 270, hospitals, restaurants & shopping. 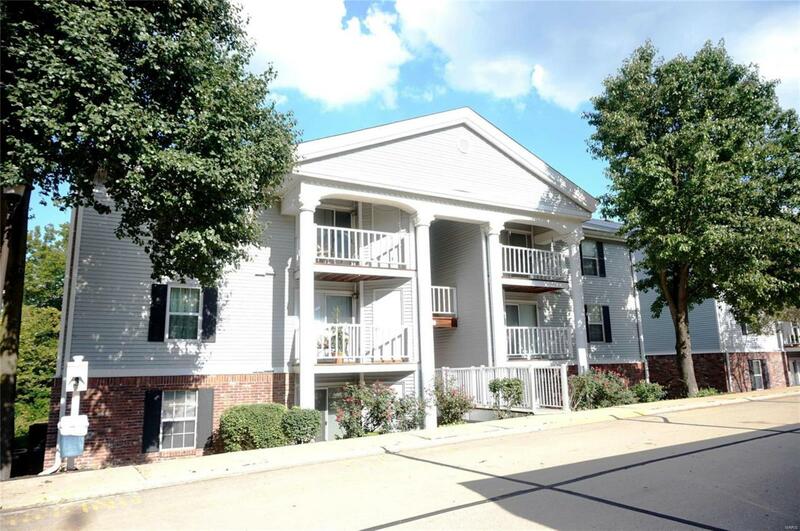 Affordable opportunity to live in 63017 ZIP code! Welcome home! FIRST SHOWINGS MONDAY, 9/17/18.